All meetings are held at 12 Noon on the third Friday of the month. On October 2, 1968 a group of eighteen retired teachers met with Second Vice President of Ohio Retired Teachers Association, Mr. H.W. 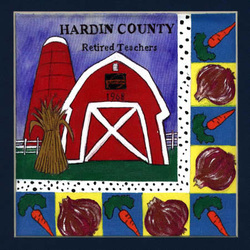 Carr and Northwest District Director, Mr. O. J. Frederick for the purpose of organizing a Hardin County Chapter for retired teachers. The Hardin County Constitution was ratified on November 6, 1968 with 39 charter members. In 2006 membership was 81. Meetings are held six times a year at noon in various churches in the county. The group has been active in legislative affairs that are important for the welfare of retired teachers. Many members are actively volunteering in schools, churches, hospitals and other organizations. The group sponsors a scholarship annually for a college senior majoring in education. Marie Price is the only living charter member at the age of 106 in 2007.